Every day when I read stories with my preschooler she likes to read each book twice. I read it to her the first time and then she reads it back to me. She doesn’t actually know how to read yet, so more than anything it’s a great comprehension exercise with her re-telling me the story. 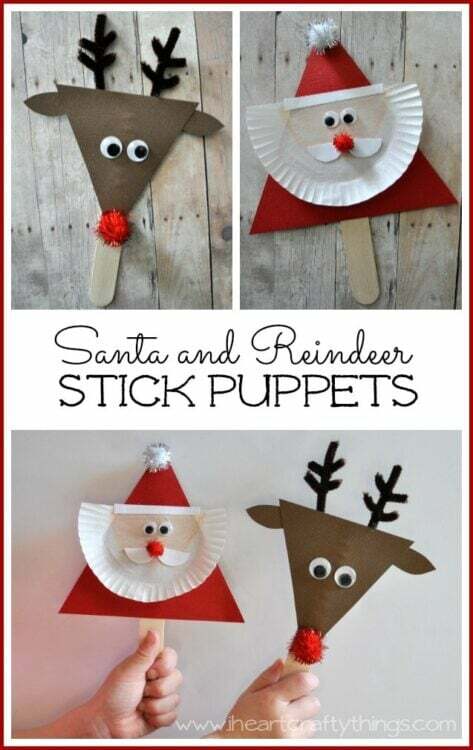 We made some Santa and Reindeer Stick Puppets to go along with a book we’ve been reading to make her retelling of the story an even more fun experience. 1. Start by cutting 1/3 off the top of your white cupcake liner. Color the inside circle section with your apricot crayon. 2. 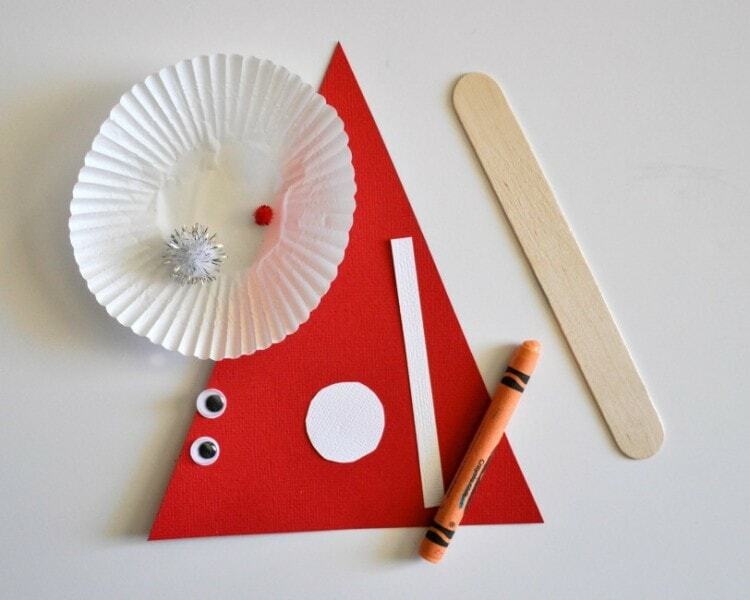 Cut a triangle out of your red cardstock paper. 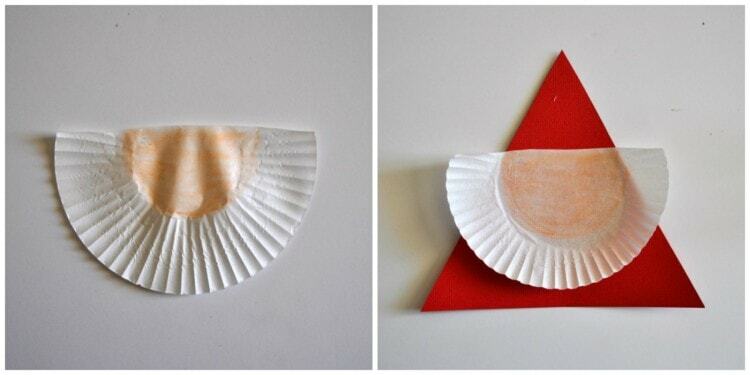 Glue your cupcake liner in the middle of your red triangle. 3. 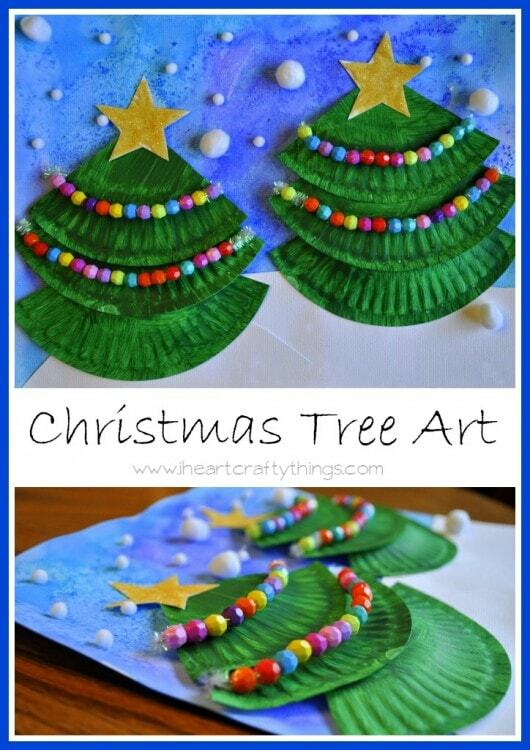 Cut a small circle and a thin strip from your white cardstock paper. Cut the circle in half. 5. 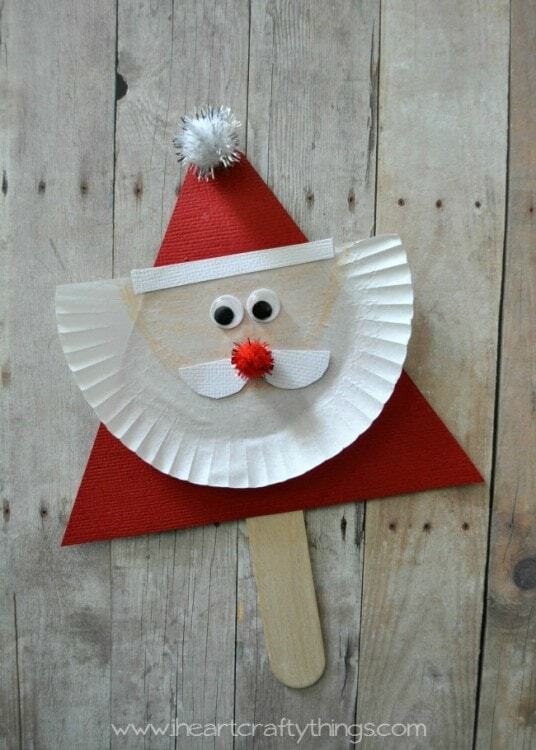 Cover your jumbo craft stick half way down with tacky glue and then attach your Santa to it. Let it dry completely before playing with it. 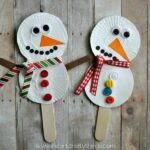 You can also omit the jumbo craft stick and use your Santa as a Gift tag also. 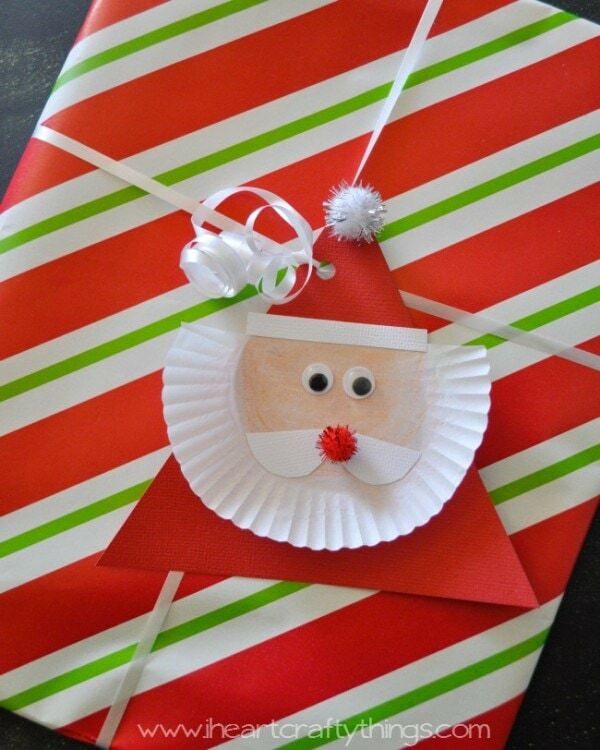 Simply punch a hole in the hat of your Santa, write who the gift is to on the back, and attach it to a gift. 1. Start by cutting a triangle out of your brown cardstock paper. I cut a square out about 4-inches by 4-inches and then cut out my triangle from that. Also cut out two small ears (I went with a leaf shape). 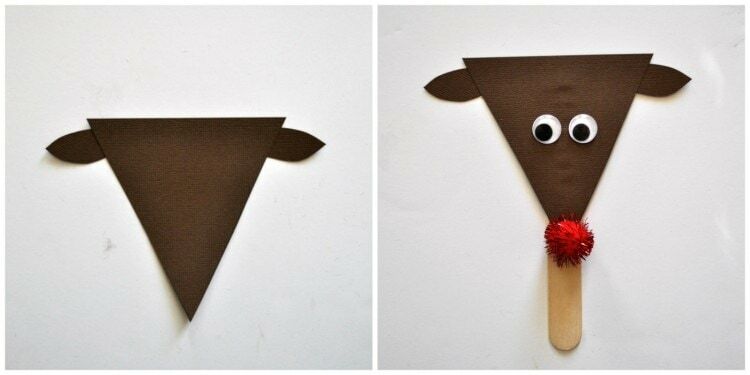 Glue the ear onto the side of the reindeer face (triangle pointing down). 2. Cover your jumbo craft stick half way down with tacky glue and glue on your triangle with the point at the bottom. 3. 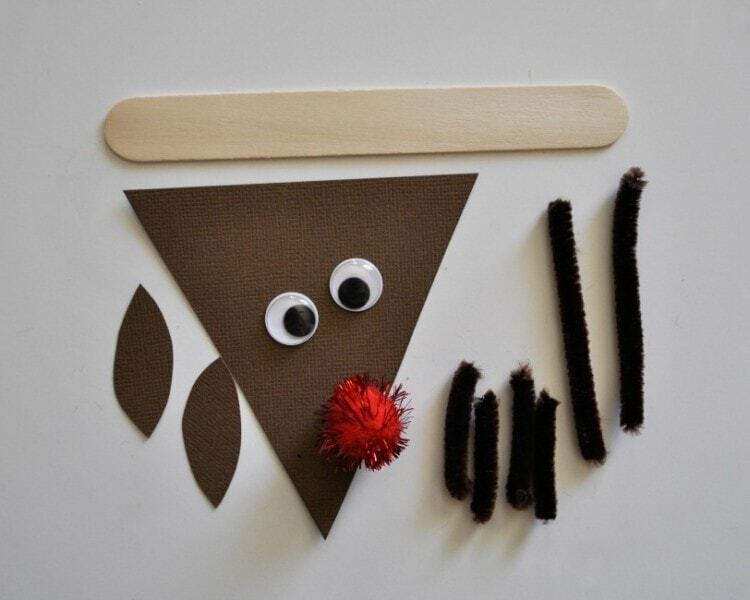 Use your tacky glue to glue on your two googly eyes, and your red pom nose. 4. 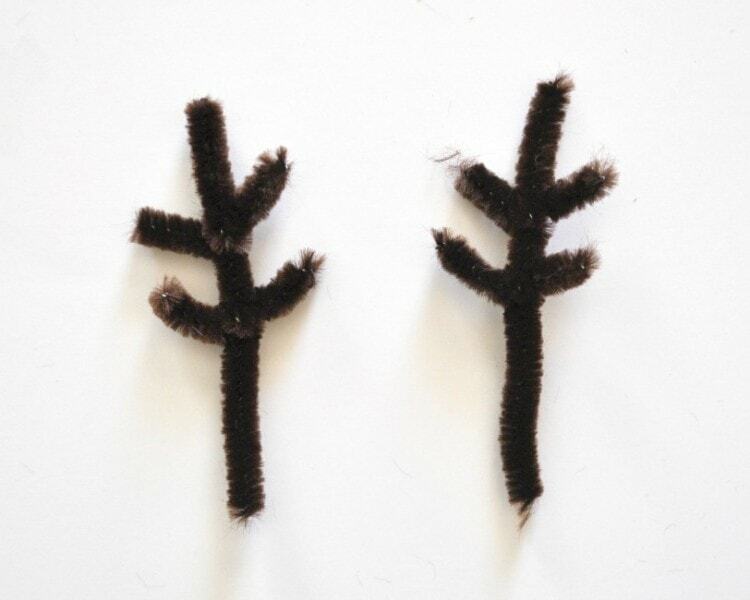 Cut your brown chenille stem in half, then those two pieces in half again. Cut two of those sections in half one more time. You will end up with 6 pieces. Twist two of the small pieces around one of the bigger pieces one time and then point the ends upwards to make antlers. Do the same with the other pieces. 5. 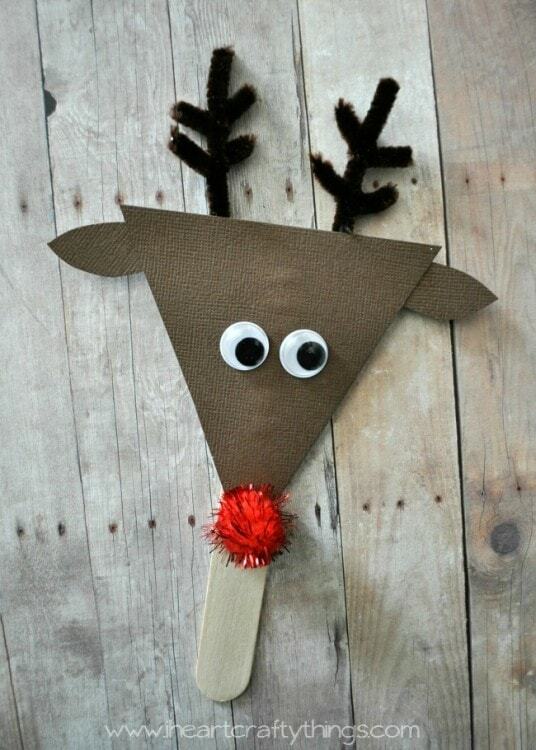 Use a generous amount of tacky glue or a hot glue gun to glue your antlers to the back of your reindeer. Let your puppet dry completely before playing with it. 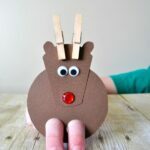 You can also use this cute little guy as a gift tag by making it without gluing the jumbo stick on the back. Simple punch a hole in the corner of it and attach it to a gift. 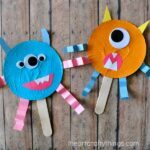 These little guys have been so much fun! 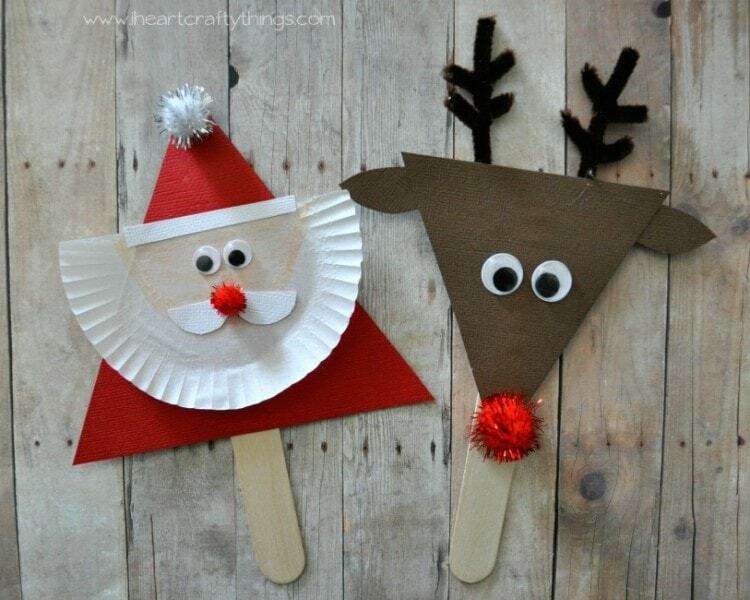 You can use them to help reenact any Santa or Reindeer story. 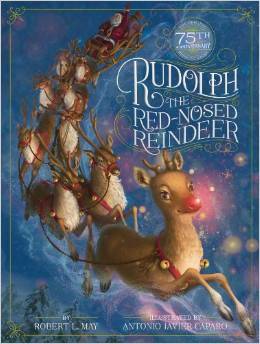 We’ve been having lots of fun with Rudolph the Red-Nosed Reindeer by Robert May.